The resignation letter should include primarily two things such as you are resigning and also the last date you will work for that company, as well as be thankful to the company for offering you an opportunity and helping your professional growth. 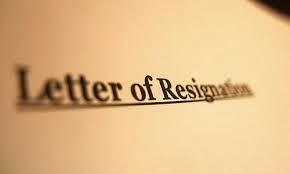 The resignation letter should be simple and short rather than lengthy and detailed explanations about your resignation. Specify a reason when there is no other alternative but to resign, such as relocating or any other health or personal problems, but if you did not like the job or company do not mention any reason. Please be willing to co-operate with the company in case of any future correspondence, do not forget to mention your phone number and email-id for contact. Don't make any negative statements in the letter even though you did not like your job because your letter goes into your employment record and reflects bad about your personality in case you mention any harsh remarks in the letter, so refrain from doing it. It's better to inform a concerned person first in person and write a letter next, but if it's not possible to do so write a letter and email it to the concerned person, so do it just as though you would do it with a hand written letter. After resigning if you want to stay in touch with your co-workers, leave your phone number and email-id and other relevant contact information, so that you keep in touch with them.